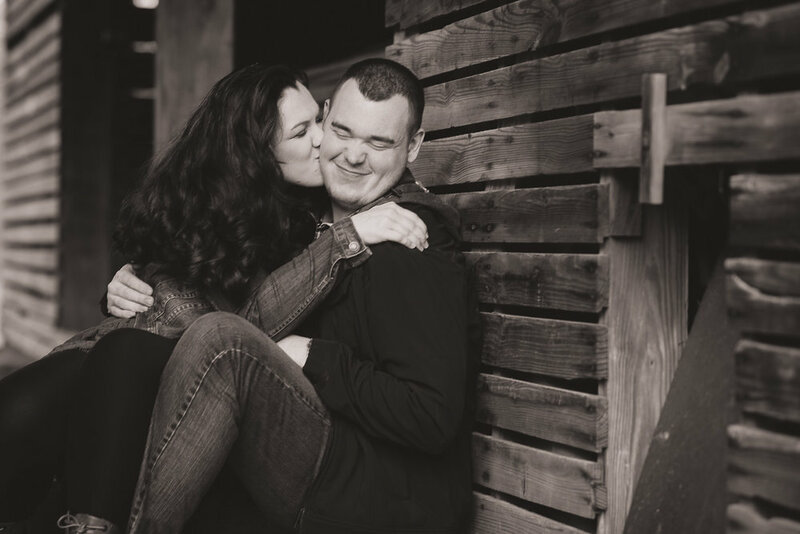 Engagement Photos - Why they're so important! So you got engaged….congrats! Now you start the fun planning process and get to go to bridal shows, dress shops, different venues and start browsing for the perfect wedding photographer near you! All of these things are great fun and but can sometimes lead to more questions than answers. Wedding photography in particular can be confusing…so many options…so many packages….albums, digital files, shooting time, number of photographers, timelines, styles….the confusion can be daunting for someone planning their first wedding. One of the choices you’ll need to make is whether or not to have engagement photos taken. Many local wedding photographers will include this as an extra option and others will include it in their standard packages. Here at Dave Thompson Photography, we include it as a standard part of all of our collections for a number of reasons, here’s why…. It’s a great excuse to get all dressed up, go out for a couple drinks and lunch, and then spend a couple hours with your future hubby/wifey having fun….kinda like a date night that includes paparazzi taking your pics! You’ll be able to spend some time in front of the camera, before the hustle and stress of your wedding day. We’ll work with you to help you feel comfortable with the camera pointed at you (BTW, most people are very camera shy, it’s not just you!). We’ll help you learn posing, the best ways to stand, how to relax and how to have fun to create beautiful memories. You’re gonna need pics for your save the date cards, reception slideshows, guest sign-in books and wedding websites…. this is the perfect way to get them! Are you planning a wedding? We’d love to work with you and document your love story for you! Click the button below to get in touch and we’ll meet you over coffee to connect! You’ll be happy you documented this time in your lives together. We like to pick activities and places to shoot that are special and meaningful to you. If you both enjoy horses, we’ll plan the session around horse back riding. If you have a favorite local restaurant that is special to you, we’ll shoot their. If you got engaged on a pier overlooking lake Michigan, that’s a perfect spot for your photos! In 20 years, when you look back at your photos, you’ll be so glad you had this season in your life captured to remember forever! So there you go, hopefully you’ve learned a little bit about why we think you can’t go wrong with an engagement session! Get in touch, we’d love to hear your love story and document this beautiful time in your lives together for you!